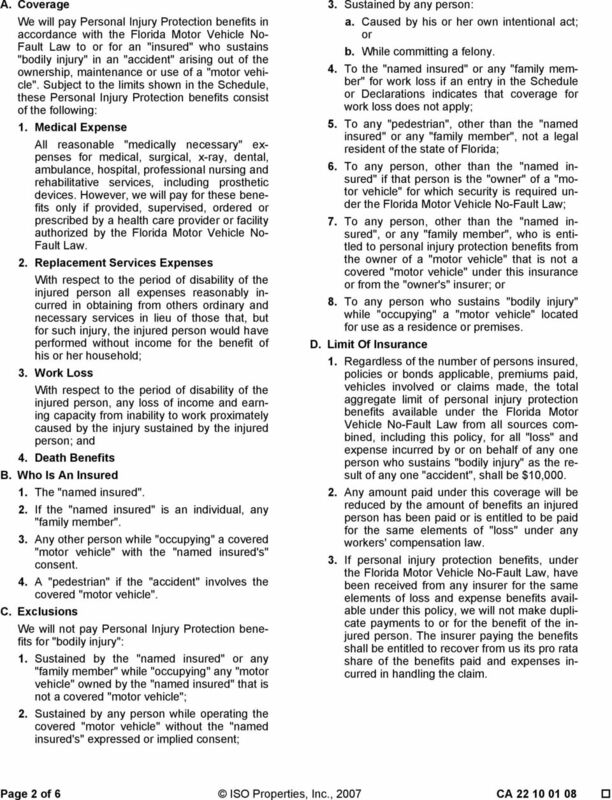 Download "FLORIDA PERSONAL INJURY PROTECTION"
ENDORSEMENT THIS ENDORSEMENT CHANGES THE POLICY. PLEASE READ IT CAREFULLY. SPECIMEN. This endorsement, effective at 12:01 A.M.
Policy Number: Motor Vehicle Policy Amendment Additional lnterest - Additional Insured - Lessor Massachusetts - (M- 0070-S Ed. 04-08) The coverage provided under: 1. 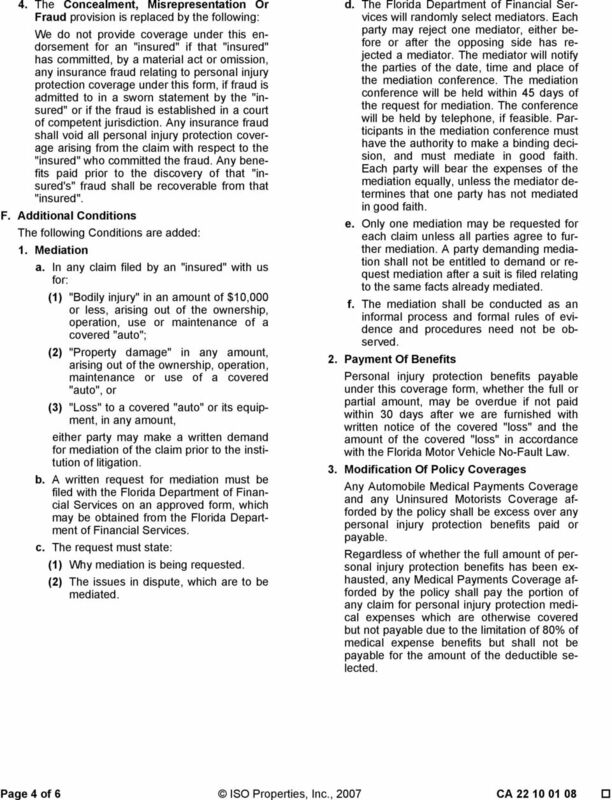 Bodily Injury To Others (Part 1), 2. 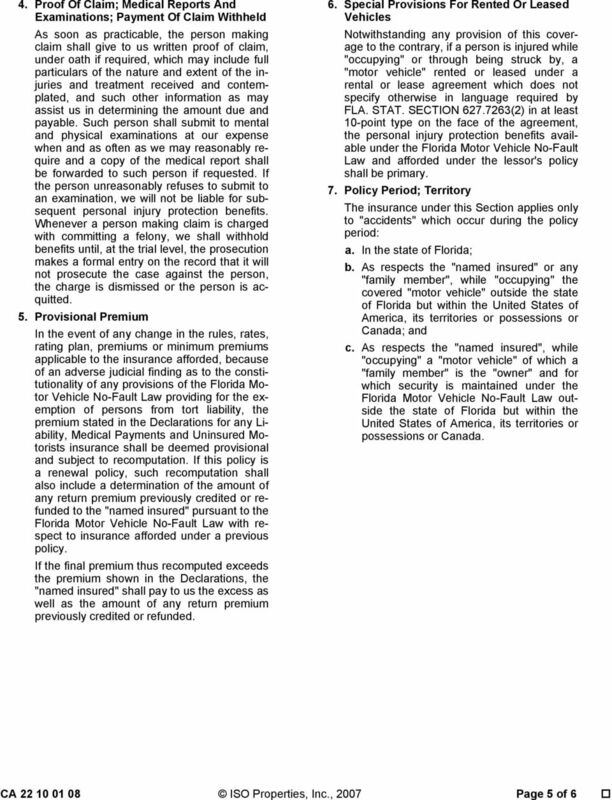 PERSONAL AUTO POLICY INDEX The Index shows the page where the section begins. The section may continue to additional pages. GENERAL ASSEMBLY OF NORTH CAROLINA SESSION 00 H 1 HOUSE BILL Short Title: Increase Auto Insurance Liability Limits. (Public) Sponsors: Referred to: Representatives Faison and Jackson (Primary Sponsors). 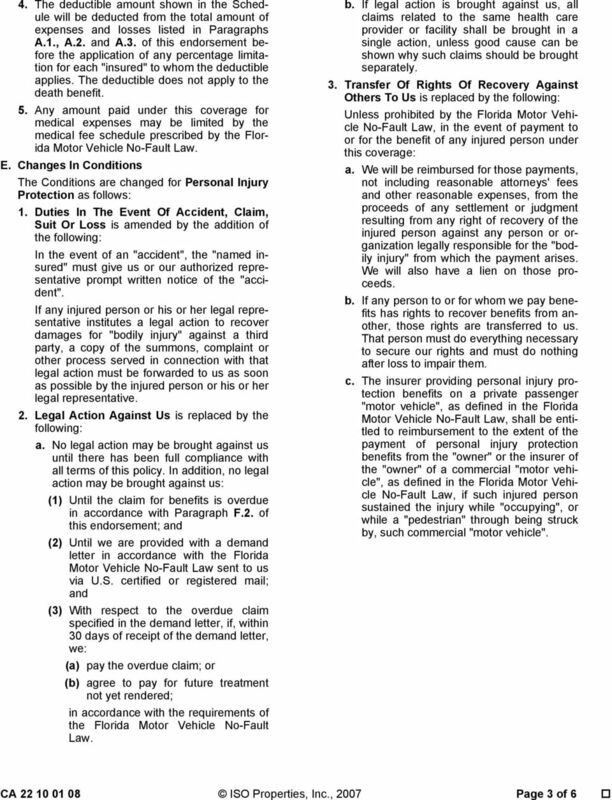 TAIPA PERSONAL AUTO POLICY EFFECTIVE MARCH 1, 2006. 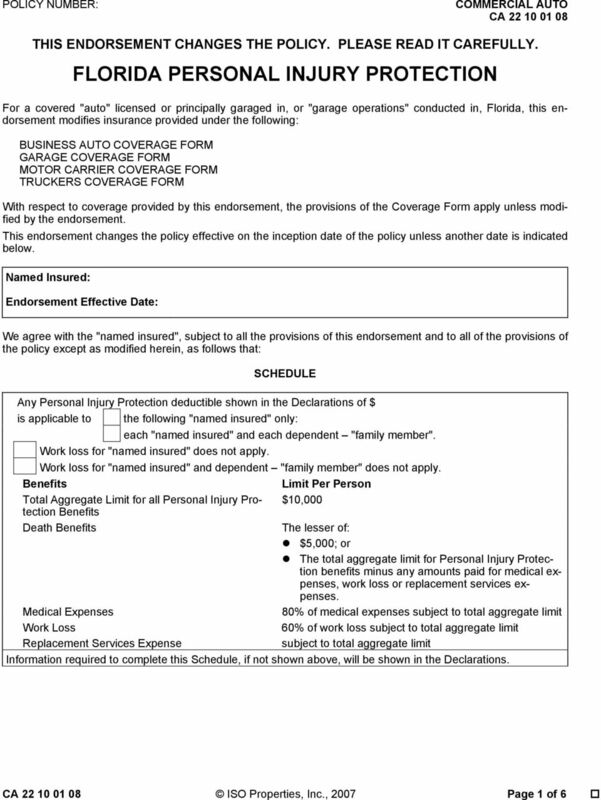 Coverage Selection Form - Hawaii Important notice about your policy. Please read carefully. 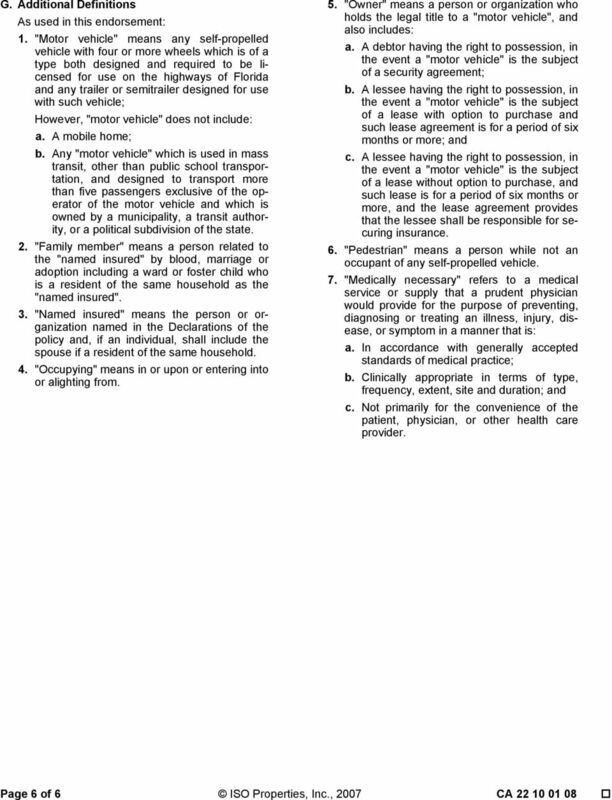 PERSONAL AUTO PP 00 01 06 98 PERSONAL AUTO POLICY AGREEMENT In return for payment of the premium and subject to all the terms of this policy, we agree with you as follows: A. Throughout this policy, "you"